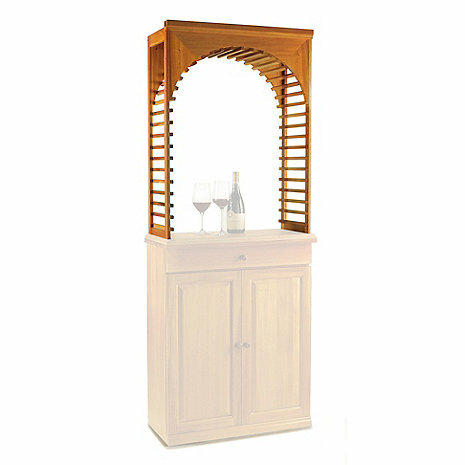 This Arch Display Rack Kit holds up to 3 shelves, displaying your favorite accompiaments for any wine collection. Fits perfectly with the rest of the racks only after I had to modify the adjacent racks to fit the gaps between the two. Now the whole system looks classy. Had to wait 4 months to receive this final portion to complete my racking system.